He diagnoses his patients quickly and accurately and he treats them effectively, while teaching them ways to ensure their continued good health. “Urinary disturbances affect men and women of all ages. Using a detail-oriented history and physical exam and appropriate medical testing, I formulate a plan and implement appropriate treatment in order to reach my goal of improving your quality of life. 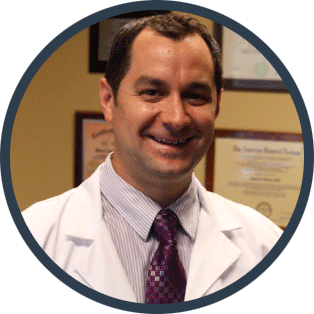 A surgical urologist, Dr. Matthew Fine is a warm, detail-oriented doctor serving the bladder and urologic health needs of patients from Miramar, Pembroke Pines, Weston and Broward and Miami-Dade counties. Dr. Fine is probably the best doctor I’ve ever had. He is very friendly and easy to talk to. With other doctors, I feel as if I’m being rushed, which makes me reluctant to ask questions. Dr. Fine genuinely cares for his patients and listens to your concerns. I am forever grateful to Dr. Fine. The surgery he performed for me has dramatically improved my quality of life for the better. Mary M., Pembroke Pines, FL. I was totally impressed with Dr. Matthew Fine’s approach during my initial office visit consultation. He seemed warm, sincere, attentive, and knowledgeable. He made me feel very comfortable and at ease as we discussed my concerns. His professionalism was evident throughout the entire visit and I would heartily recommend him to anyone in need of his services.